This page is going to be about the farm. We’re on 17 acres and doing our best to farm sustainably, regeneratively, and in harmony with all the beings who live here. The intention is to be a food resource when that is needed, and meanwhile to feed ourselves and bring in a little money to support the whole venture. Eventually there will be more farm information. Right now we just have these recipes. Nettles are known for being rich in minerals, tonic, builder of blood, bones, and connective tissue. Wood nettles taste much better than stinging nettles. Handle raw nettles with tongs or leather gloves. 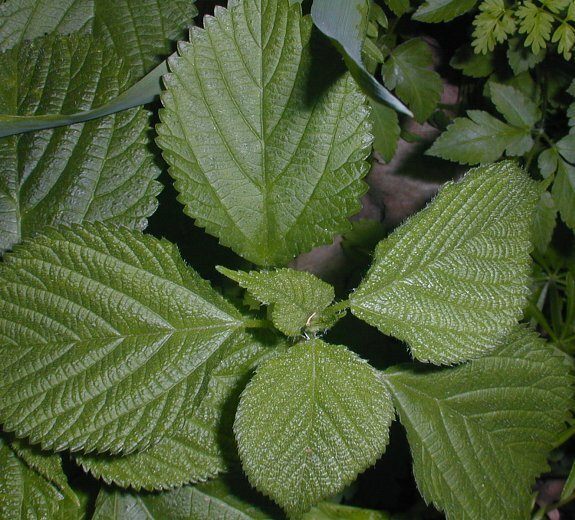 Dried or slightly cooked, nettles are safe to touch. Before cooking, wash nettles until water comes away clear. Cover with cool water, remove with tongs or use sieve. Check to make sure water is clear. Measuring nettles is a joke. You can cram them tightly into a space, or let them be loose. These recipes are organized around the packaging I’m using to sell them – half pound boxes. The gourmet nettles, good with either wood nettles or stinging nettles. Found online, adapted slightly, seems to be a classic Swedish recipe. 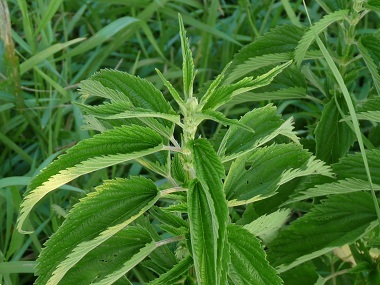 Nettles, rich in vitamins, flavonoids, serotonin, and histamines, are a gift of Spring. Enjoy them in this delicately flavored soup. Harvest, prepare, and wash about 10-12 cups of fresh nettle leaves, about one plastic grocery bag. Use tongs or slotted spoon to carefully place washed nettle leaves in large saucepan, without touching them. Add water to cover, and bring to a low simmer. Blanch leaves for just a few minutes, until tender (Note: they’ll be safe to touch once blanched!) Place blanched nettles with one cup cooking water into food processor and chop finely (don’t puree them). Set aside the rest of the cooking water and use it in soups or drink as nettle tea. Heat butter and flour together in saucepan over medium-high heat to make a light roux. Lower heat to medium, add chopped red onion, garlic, and chives, and sauté until onion is opaque. Whisk in stock, salt, white pepper, thyme, and nutmeg, stirring until roux is well-incorporated. Stir in processed nettle mixture, then gradually whisk in light cream or half-and-half. Heat until warmed through, about 10 minutes. Pour into soup bowls, garnish with chopped or sliced hard-boiled eggs, and serve. Yield: 4-6 servings. Easy recipe for every day use. Many possible adaptations. Everyone who tried this liked it. In large heavy pot, saute onions and garlic in oil. Add nettles and half of water; steam/boil until cooked. Blend. Add nutritional yeast, salt. Stir, taste, adjust seasonings. Add nettles to salted boiling water for 1 minute. Drain immediately. (Save water for nettle tea.) Put greens in ice water to stop the cooking. Cool, strain and remove moisture completely (use a towel). Coarsely chop nettles. In a blender or food processor, blend with garlic cloves and pine nuts. While pulsing, add olive oil, 1 tablespoon at a time. Season to taste with salt & pepper. Option: Add grated Parmesan cheese and/or a touch of lemon juice at the end. Some day I’m going to make this with a mixture of nettles and basil! Or with garlic mustard.